Belated Happy New Year! 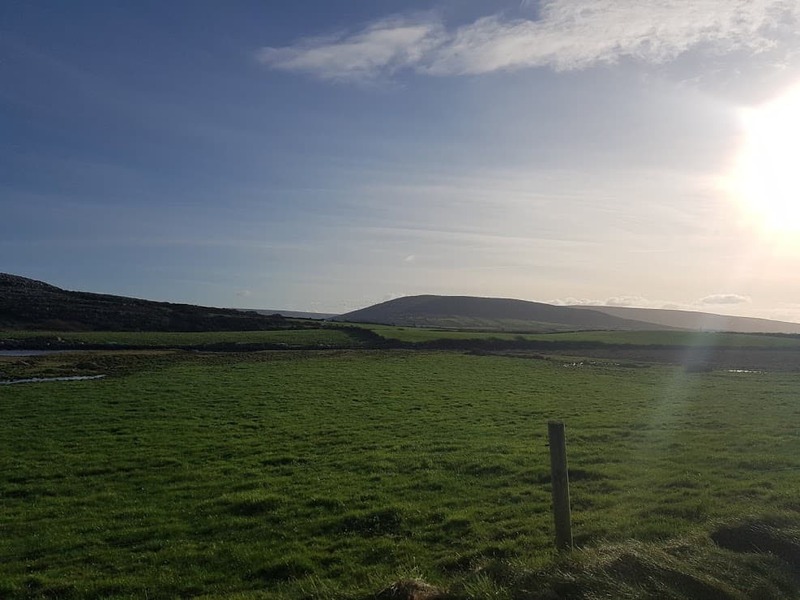 If this is the first time you are visiting my blog, I have started to document cycles and walks in and around the Burren Lowlands. so far I have documented Gort’s mini Greenway, Gort’s Golden Mile, Mary’s walk in Peterswell. 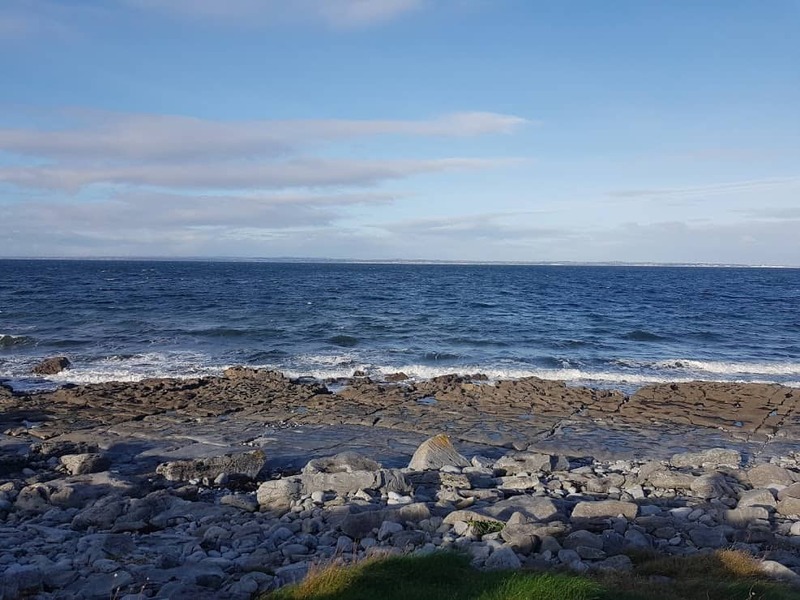 This time I headed out to nearby Co. Clare to walk on the Flaggy Shore. If you like what you read, please share or why not follow me on Facebook. We are just back from a walk at the very popular Flaggy Shore in Co. Clare., bordering Co. Galway. 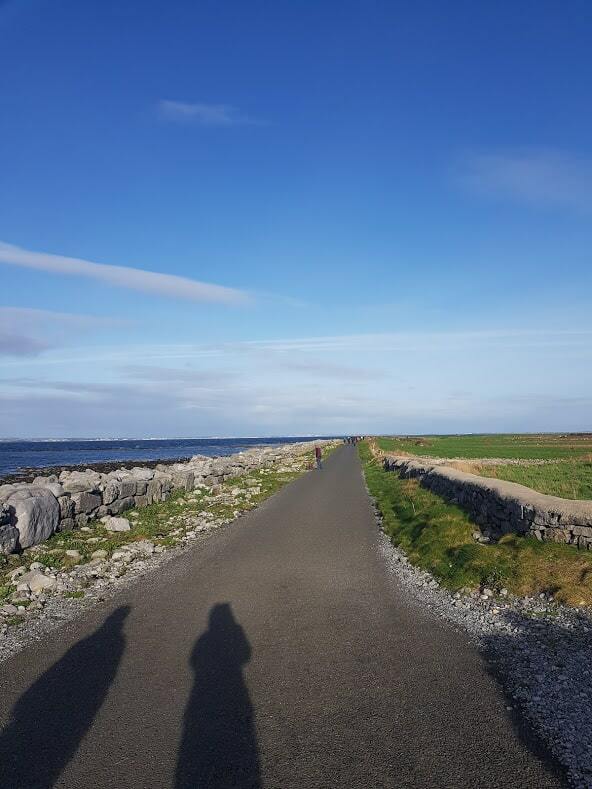 To get to the Flaggy Shore, you’ll drive on the well established Wild Atlantic Way, passing through picturesque Kinvara. 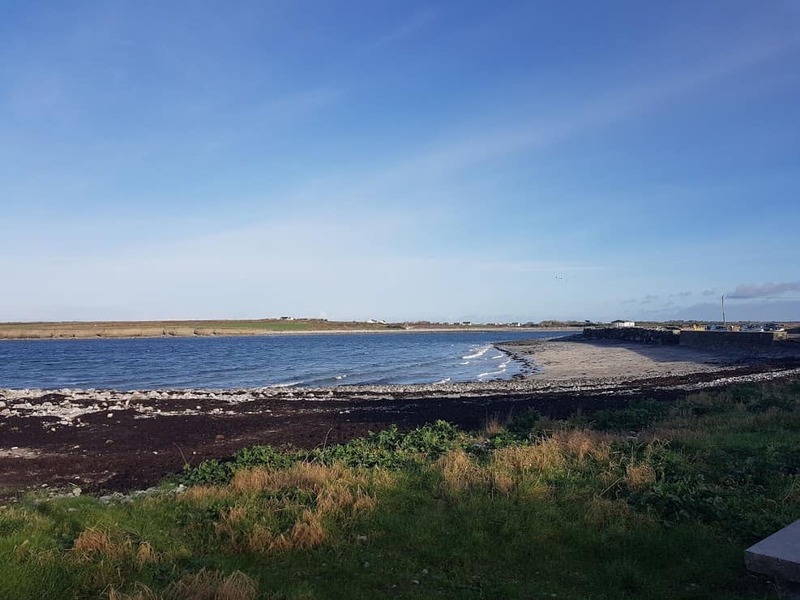 The Flaggy Shore is one side of a small peninsula that stretches from the village of New Quay to Finvarra Point, and is one of the most northerly parts of County Clare. Famous for its limestone pavements and fossils that are embedded in the rock, including sculptured rocks along the shore called ‘Biokarst’. Backdrop of rising undulating landscape of the Burrin Hill. 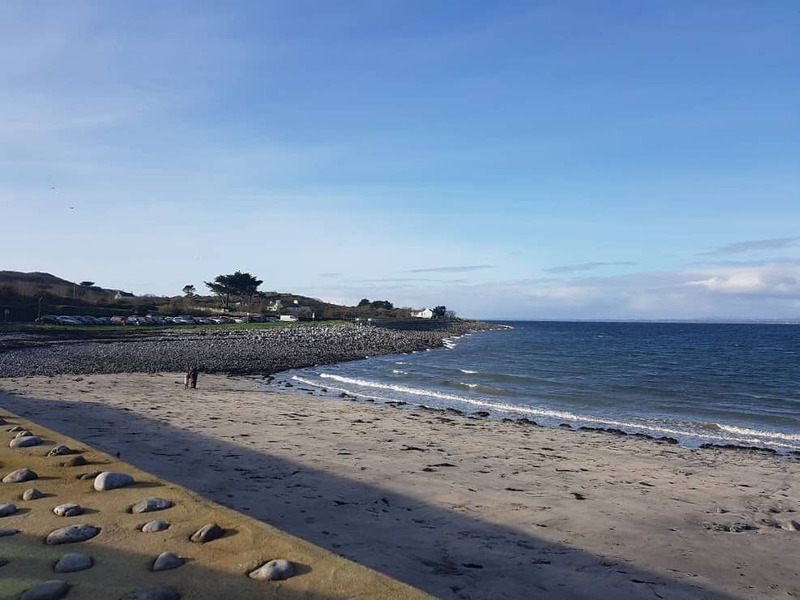 The shore itself is most beautiful but what makes the Flaggy Shore so distinctive is, wonderful the views to the west and north to Galway Bay and the mountains beyond. It’s about an hour’s drive from Galway city, 90 minutes from Shannon airport and a 4 hour’s drive from Dublin. All I can say, it’s worth it! 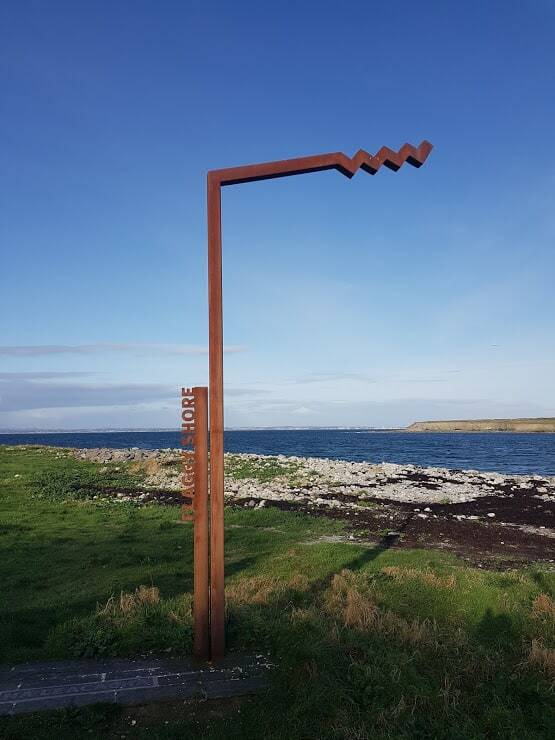 It has been a while since we were here last, so it was great to see the new signs for the Wild Atlantic Way. Here is a few images I took as we walked from the Cark Park to just past the lake. 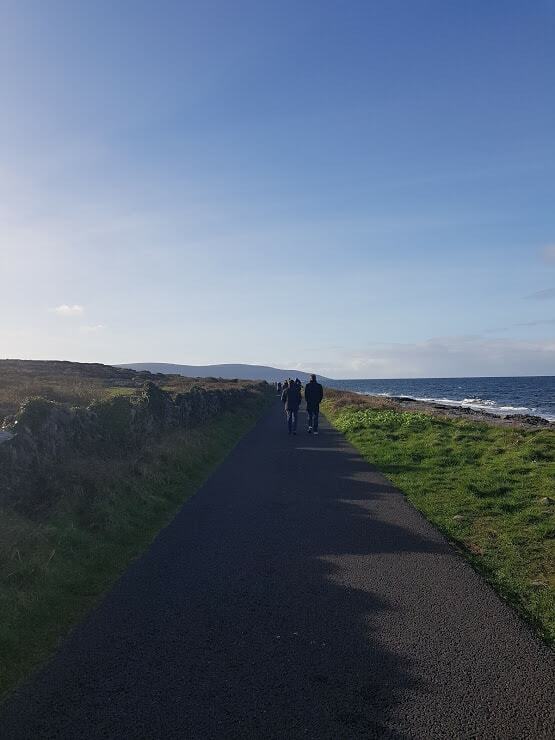 As you can see the weather was just amazing, and we truly enjoyed the views and the sea air. Its’s always pretty windy there, so we were very grateful we brought hats, gloves and a scarf to keep us warm! View over the Atlantic at the Flaggy shore. If only you could smell the fresh sea air!! We walked for about 2,5 kms, and turned back just after the lake. There was also a house that looked like it may have been a schoolhouse in a previous life. The Martello Tower was in view. Next time we are bringing the bikes ! Can’t wait to go again, with the bikes, explore the Martello tower and of course sample the Linnala Icecream. Greetings from Peterswell in the Burrenlowlands.